Wednesday afternoon brings a chance for showers and thunderstorms to the Front Range while light snow will continue in the mountains. A mostly cloudy and breezy day across the Front Range, with the chance for a few early afternoon showers and thunderstorms. 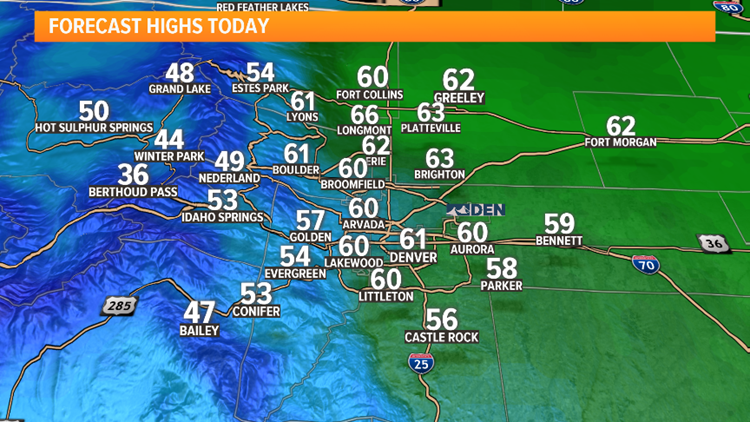 Look for showers to develop in the foothills early Wednesday afternoon, then move south and east across the Denver metro area. There could be a few rumbles of thunder, but no severe weather is anticipated and rain looks to be light. 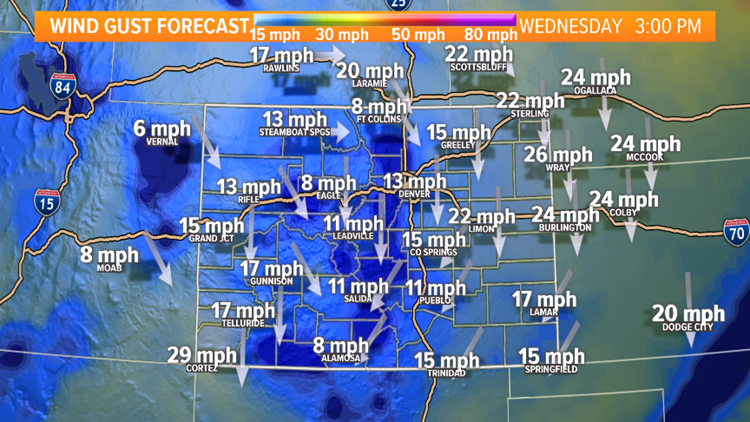 Most of the shower activity will be before 4 p.m., but a few isolated showers could roll through east of the Denver metro area later Wednesday evening. 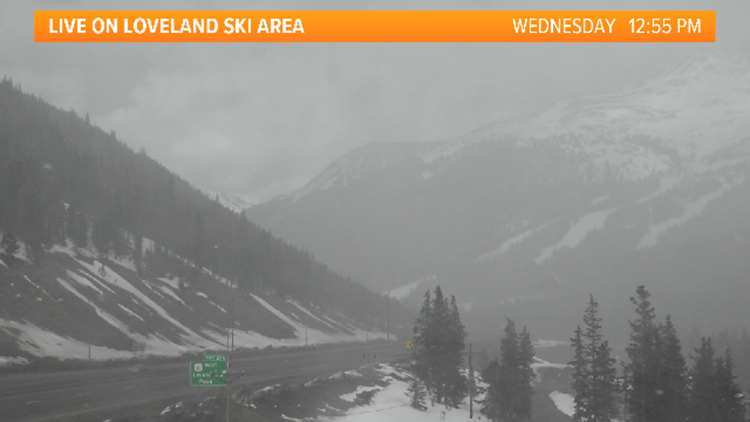 Snow showers will continue in the mountains overnight before tapering off Thursday morning. Otherwise, temperatures will be in the low 60's today with gusty winds, especially across the Eastern Plains. 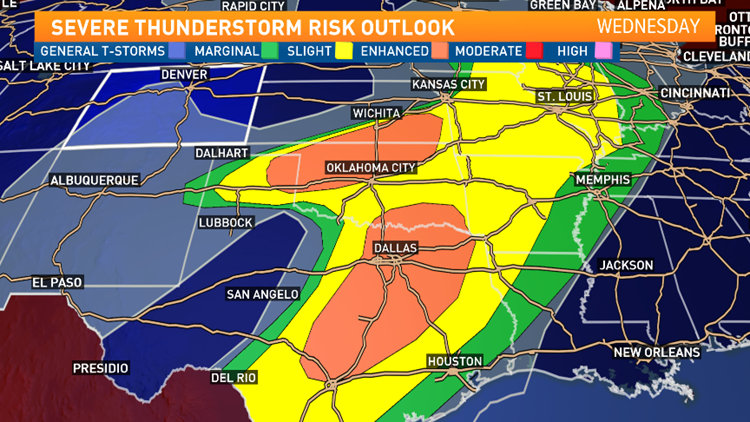 While there is no severe weather expected in Colorado, there is an enhanced threat over parts of the midwest and Texas Wednesday. Large hail, damaging winds and tornadoes are expected in these areas.